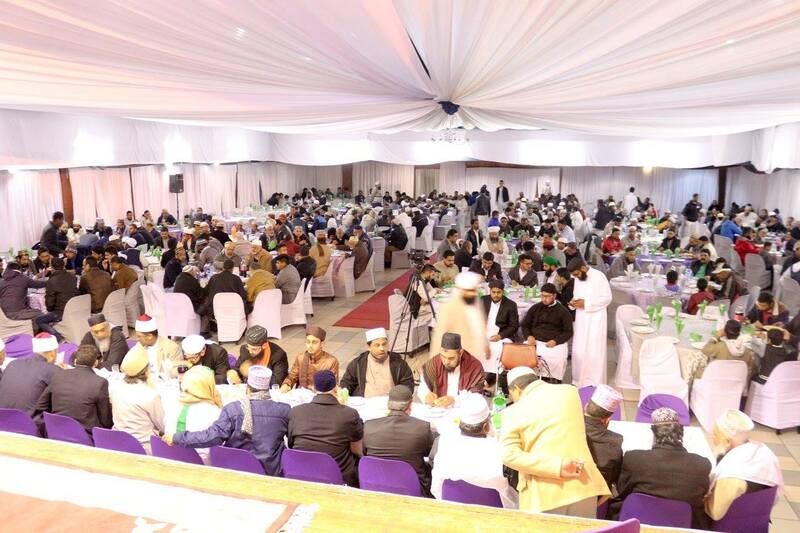 By the Grace and Mercy of Allah Almighty, Darul Uloom Pretoria held its 19th annual fund raising dinner on Friday, the 18th of August 2017 at the Laudium Civic Centre, in Pretoria. 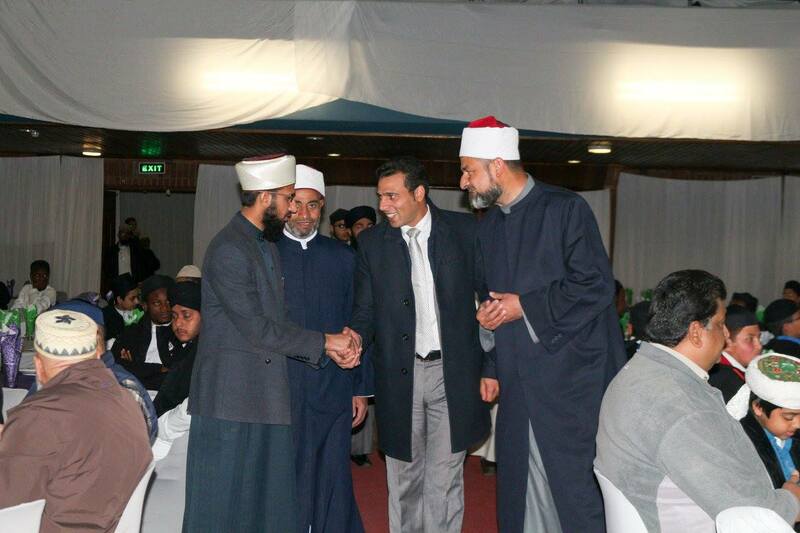 The fund raising event was well attended by local residents and well-wishers of the Darul Uloom Pretoria. A number of Ulama, Imams of the various Masaajid were also in attendance. The dinner was graced by the ambassador of Trinidad and Tabago, His Excellency Mr Roger Gopal and also a representative from the Egyptian embassy, His Excellency Mr Amin Sha’baan. His excellency, the ambassador of Trinidad & Tobago shares a close relation with the institute and was present at the event. Educators of the institute receive a representative from the Egyptian embassy at the event. The programme for the night was officiated by a senior student of the Darul Uloom. Moulana Ashraf Talati and began with an inspirational Qiraat recited by Rayhaan Mustafa, a fifth year Aalim course student. A Naat was then recited by Hassan ibn Khursheed who hails from Pakistan and is the son of the late legendary Naat reciter Khursheed Ahmed. The recitation of the Na’at was followed by a short talk on the achievements of Darul Uloom Pretoria by a final year Aalim course student, Farrehz Ghafoor. After his talk he presented to the audience the students who will be graduating as Ulama and Huffaaz at the end of this year. 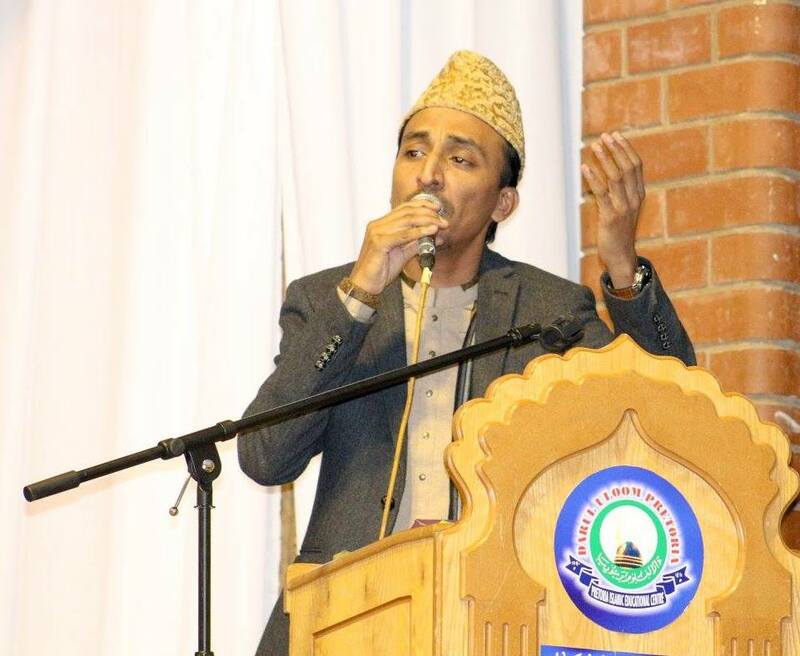 Hafiz Mohammed Ismail Hazarvi, the deputy principal of the Darul Uloom then addressed the audience. He requested that everyone make Dua for Qibla Mufti Muhammed Akbar Hazarvi, who was unable to attend the function due to ill health and was in hospital. He thanked everyone who had contributed to the success of the function. He also emphasised and reminded the audience of the service of Qibla Mufti Saheb towards the Deen of Islam, both in South Africa as well as beyond its borders. It was noted that a Ugandan student of Darul Uloom Pretoria runs his own Darul Uloom in Uganda which has four hundred students studying there. Another graduate of Darul Uloom Pretoria, Sheikh Saeed Hassan Edward has through his Da’wa activities, reverted twenty eight thousand people to Islam. Many local and international scholars, members of the diplomatic community and local residents graced the event with their presence. The guest speaker for the evening, Nabeera-e-A’la Hazrat, Hazrat Allama Muhammed Tauseef Raza Khan Saheb then addressed the audience and began by relating the advice his mother had given to him as a child. She told him that if he turned his back on the Deen and chased after the world, then he would never achieve that objective. She gave him an example and told him to imagine that the sun was the Deen and his shadow was the world. By turning his back on the sun (Deen), he would chase his shadow (worldly things) which could never be caught. She then said that if he turned towards the sun (the Deen) then his shadow would be behind him and would be chasing after him. The moral of the story is that the one who turns to Deen, would have the world chasing him. His message to the students of the Darul Uloom was that they should not turn their back on the teachings of Islam as that would not lead to success. 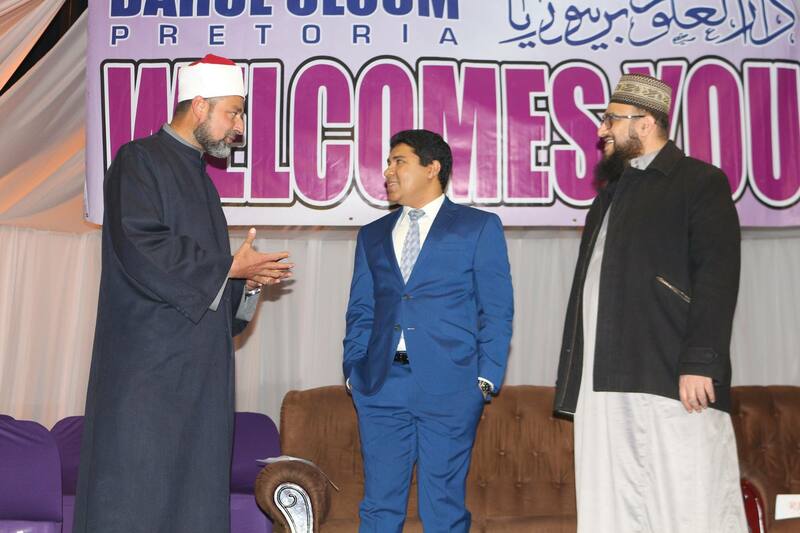 Hazrat then reminded the audience that Hazrat Qibla Mufti Saheb came to South Africa and has played a significant role in protecting the Aqeeda of the people in the country. He said that Mufti Saheb has travelled to countries where Islam was present but Ulama were virtually non-existent. By inviting individuals from such countries to come study at Darul Uloom Pretoria he has produced Ulama and Hufaaz who would return to those countries. He then made Dua that Allah Almighty grants Qibla Mufti Saheb complete Shifa and bless him abundantly and reward him for his service to Maslak-e-Ahle Sunnat. He also prayed that Allah Almighty makes Darul Uloom Pretoria a great fort (to protect) the teachings of A’la Hazrat Rahmatullah Alaihi. He made Dua that Allah Almighty grants the students beneficial knowledge and the teachers of Darul Uloom Pretoria the guidance to continue with the excellent work they are doing. The successful event concluded with a sumptuous meal being served. Nabirae Ala Hazrat, Allama Tauseef Raza Khan delivered the keynote address & led the final Duaa.